1 Oz. Clear Plastic Shot Glasses - 50 Ct.
Great for cocktail parties, wedding anniversaries, and much more! 5.5 oz. 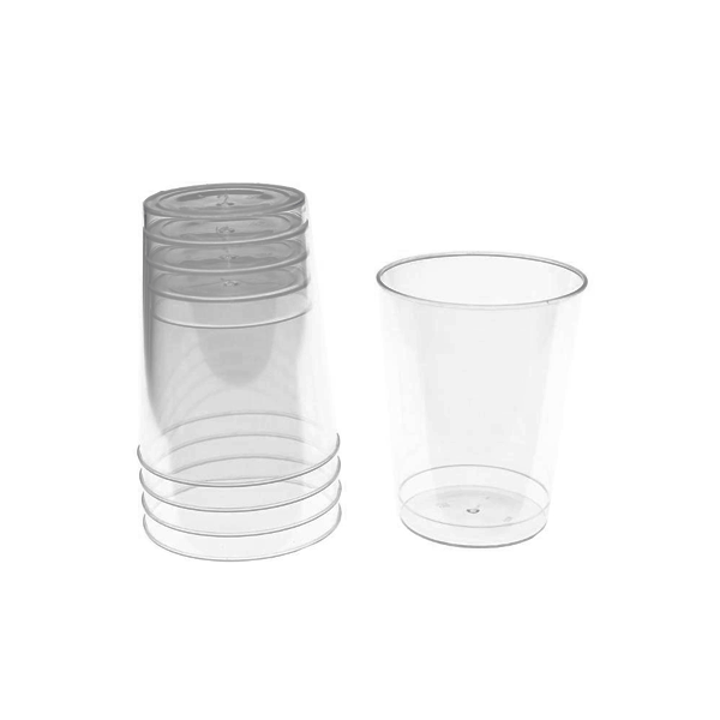 Clear Plastic Wine Cups - 20 Ct.
1 Oz. Clear Plastic Shot Glasses - 100 Ct.
2 Oz. Square Bottom Shot Glass - 20 Ct.
2oz Clear Square Bottom Shot Glass - 20 ct.
2.5 Oz. Shot Glasses - 6 Ct. These 1 oz. clear plastic shot glasses are the perfect way to serve drinks at your next event. Made of heavy duty plastic, these shot glasses feature a trendy, crystal clear design. Great for cocktail parties, wedding anniversaries, and much more! L: 7.25 in. W: 3.0 in. H: 1.5 in.